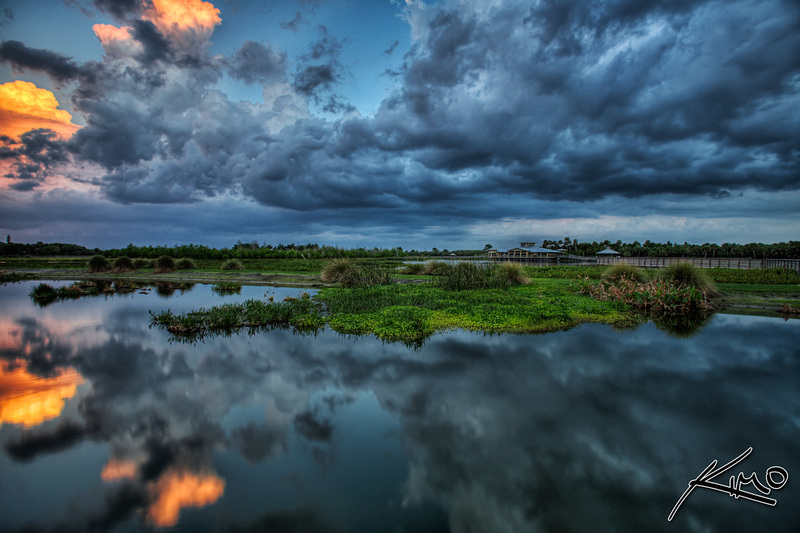 HDR shot from Green Cay Wetlands using an ND8 filter to get the silky smooth water effect. To get this shot my camera was set on aperture priority, or AV mode. I made sure the aperture was set so the original exposure would give me a one second shutter speed. I let the camera take care of the other two exposures automatically. The slower shutter speed will help produce a smoother water effect. Patrick Smith uses neutral density filters to get this effect without HDR. I also used Topaz Clean to smooth out the water even more.